Joan has a cute "wallet on a string" for you this month, Just The Necessities Bag! 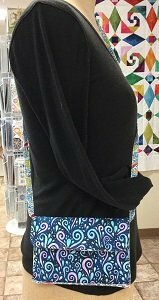 This makes a great little bag for those shopping trips where you'd like your hands free! Click here for the Bag Ladies-Just The Necessities Wallet supply sheet.